Build to Suite lot by Sonora West Development (over 15 Silverleaf homes built). 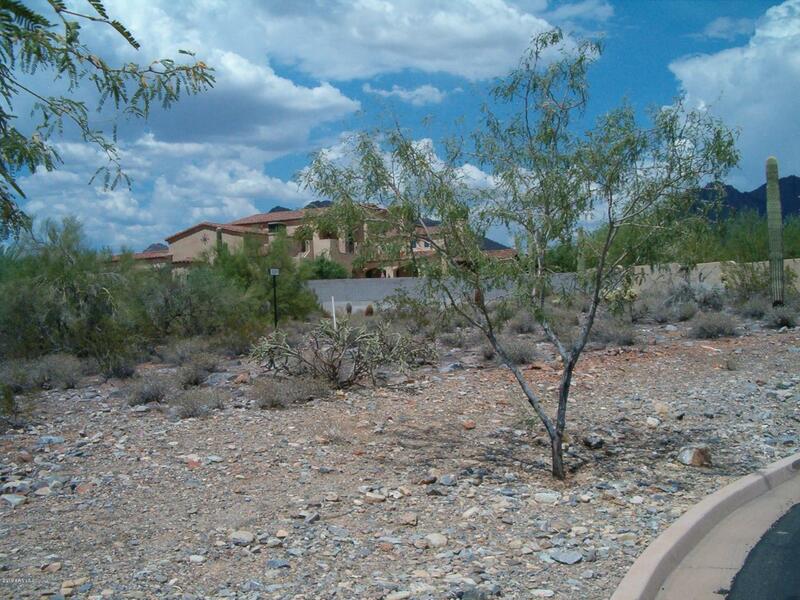 This easy-build lot is located in the the much sought after Horseshoe Canyon within walking distance to the Silverleaf Golf Clubhouse and Spa. The lot has nice mountain views. Sonoran West Development will provide you with a turn key production including architectural design, review, construction, pool, landscape etc. This relatively flat lot will keep lot prep cost to a minimum so you can have your dream home built within reasonable cost. Cross Street Thompson Peak & Legacy Blvd.